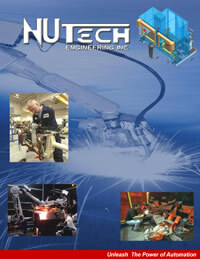 Home | Business in Action | November 08 | NuTech Engineering Inc. Since its inception in 1988 NuTech has remained 100% privately owned. Located in Milton, Ontario, NuTech is nestled on the outskirts of the GTA, and operates out of an 80,000 square foot facility. Development has steadily increased in the growing family city over the last decade or so, and NuTech has grown with it. 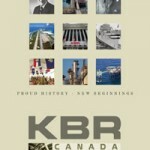 The company specializes in the automation of welding and cutting processes, and services clients in Canada and beyond. NuTech’s motivation is to create great solutions for clients’ needs, and the company’s reputation is built on quality and helping clients achieve a competitive edge. A truly Canadian enterprise, NuTech supports local charities and community initiatives, and by doing so continues to lead by example in an ever-changing industry.